Sharing in the success of a new website with our staff and community. 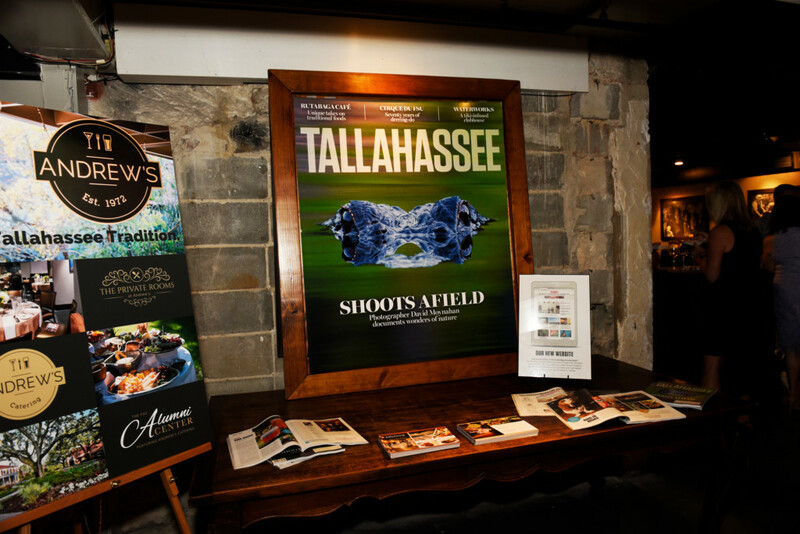 Rowland Publishing began a new adventure on Tuesday as our company unveiled the newly redesigned TallahasseeMagazine.com during a pop-up party at Andrew’s Downtown. With the new website, we hope to better entertain and inform readers with compelling stories and news articles, as well as stunning photography and layouts. Attendees and guests enjoyed sweet sips from the bar and tasty hors d’oeuvres as they celebrated the new site and received a sneak peak at the newest addition to Andrew’s Downtown. The new Private Rooms at Andrew’s is downtown Tallahassee’s newest boutique event space, which can host gatherings of 25, 35 or 60 in three unique rooms. The event space can also host 120 across all three rooms. The new addition was the perfect backdrop for the event and will serve as a new prime gathering spot for meetings, receptions, bridal showers and special events in the Capital City. Special guests at Tuesday’s party included Bailey the basset hound, who has garnered quite a name for herself. Bailey is the new “cover girl” for a Purina-brand marketing campaign overseas for their new dog biscuit. She is also the sweetest puppy you will ever meet. Her big brown eyes had the guests fawning, proving beyond a doubt that her fame is warranted. Painter Eliza Rose Schneider-Green also was in attendance after the modern day renaissance woman was featured in September-October issue of Tallahassee Magazine in a series by the city’s Council on Culture & Arts (COCA). She showed off several beautiful art prints and cards that you can find available at The Silk and Cotton Shop. Overall, the event was a successful launch of our brand new website and a thank you to a community that continually supports Tallahassee Magazine, both in print and online.